Donovan ab Alexandros was the high king of the Allied Kingdoms of Nora from 1277 to 1331 NS. He was the founder of the royal House of Alexandros. He took the crown at age twelve. 1292 NS; High King Donovan is married to Princess Florice of Canstice. 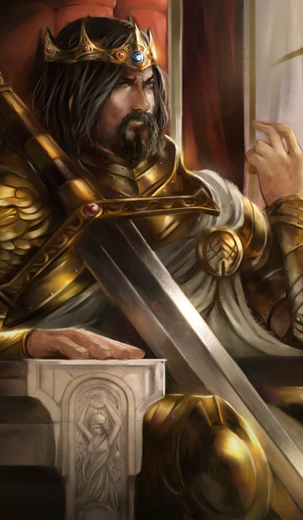 1331 NS; High King Donovan ab Alexandros dies. High Queen Brahm ascends to the throne. Donovan was very military minded and often wore full plate armor as a show.